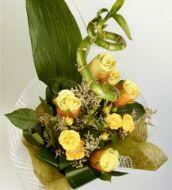 Online Florist. How do you surprise your loved ones with a few click from your computer. Online flower shops have the great advantage of a broad range of products rather than a traditional florist where there is a somewhat more restricted range of bouquets and arrangements. 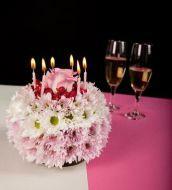 Although some online forists and online flower orders act only as brokers, intermediaries between customers and "street" florists most online florist in the market already own production facilities and work with stocks of flowers that are imported, or of domestic origin, with the possibility of delivery of a wide range of products. SendFlowersBucharest has professional storage space for flowers in stock and floral designers dedicated to online store offers guaranteed delivery of quality products displayed on the site in 2-4 hours after confirmation of payment. 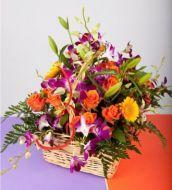 With minor differences, online ordering process is similar to all florists. Bouquet choice is the first, by the type of flowers witch are preferred, either by occasion, select the color of flowers and also additional products if they are available (teddy bear, candy, etc..) followed by the recipient info (address, phone, delivery time, etc.). 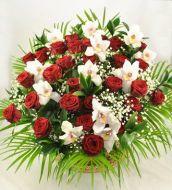 SendFlowersBucharest also offers a card which is printed a congratulatory message, this service is free of charge here. Also at SendFlowersBucharest you can choose a delivery time for your order.